Sometimes the easiest way to add more elements to the page is duplicating (making copies) of existing elements on the page. To duplicate an element click on the in the selected element menu. Make copies of the element. A copy of the element will be inserted right after the original. ShortcutUse CMD + D to duplicate the selected element. 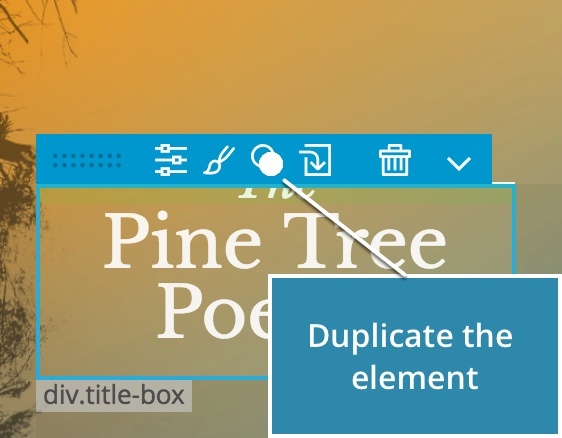 Duplicate also works with multiple selected elements. Use Repeater to create more than one copy of the element.